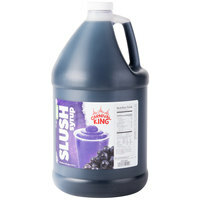 Beat the heat with a cool slushy or granita made from this Carnival King 1 gallon fruit punch slushy syrup! 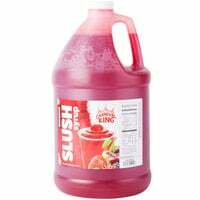 "You can't beat the Carnival King slushy syrup mixes. They are so easy to mix and taste great. The fruit punch flavor is very popular with our customers." 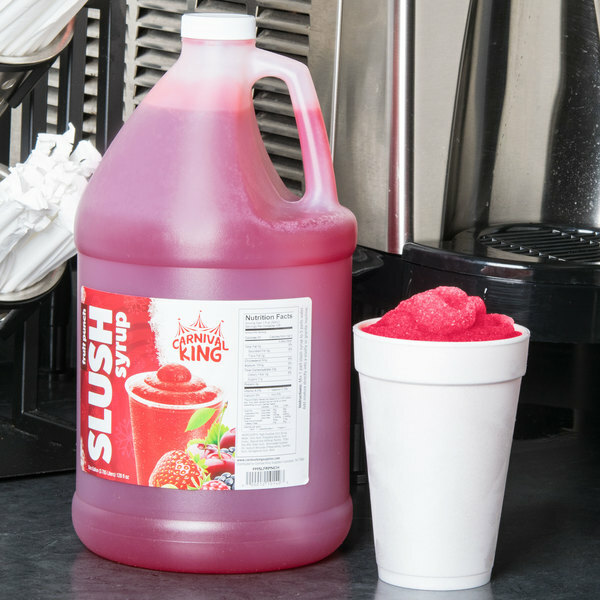 Carnival King offers great flavors at a great value, and this sweet fruit punch flavor enhances the appearance, color, and taste of your icy cold drinks. The colors and flavors are sure to boost impulse sales. We decided to experiment with syrups, we traditionally used juices in our granita machine. I mixed fruit punch and pina colada with ginger ale and peaches and put in our machine and it’s an instant hit! Carnival king has good quaility products. 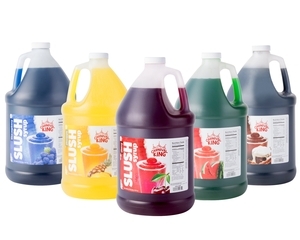 These slushy syrups are very good flavors for all individuals. The kids love all the flavors we have tried. Fruit punch is a must have flavor is you are running a slushy business. The kids really like this flavor and i would agree with them. Works perfect in our Bunn Ultra machine. 1 gallon of syrup yields 6 gallons of drink. The kids love this flavor. Will be a regular in our flavor rotation. This carniva fruit punchl slushy syrup is a great addition for my drink options on my menu board. It is a new product to us and will are excited to try it out. 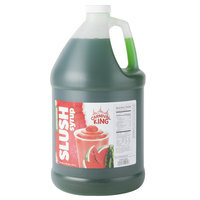 You can't beat the Carnival King slushy syrup mixes. They are so easy to mix and taste great. The fruit punch flavor is very popular with our customers. 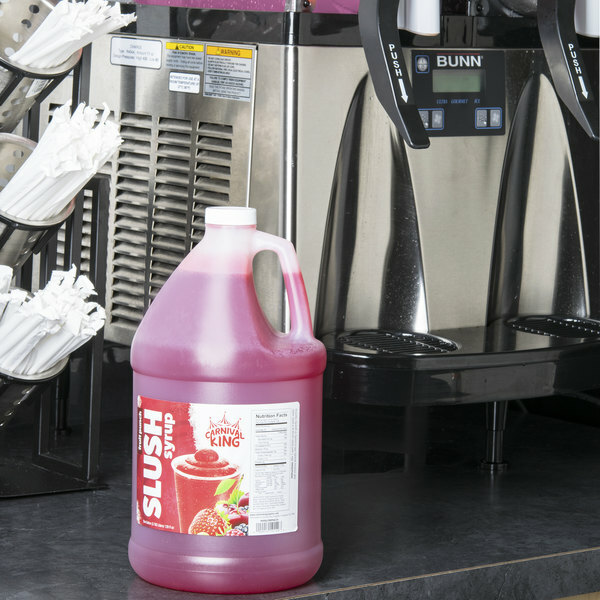 A great brand that produces top of the line slushy syrups that work great with our bunn slushy machine. 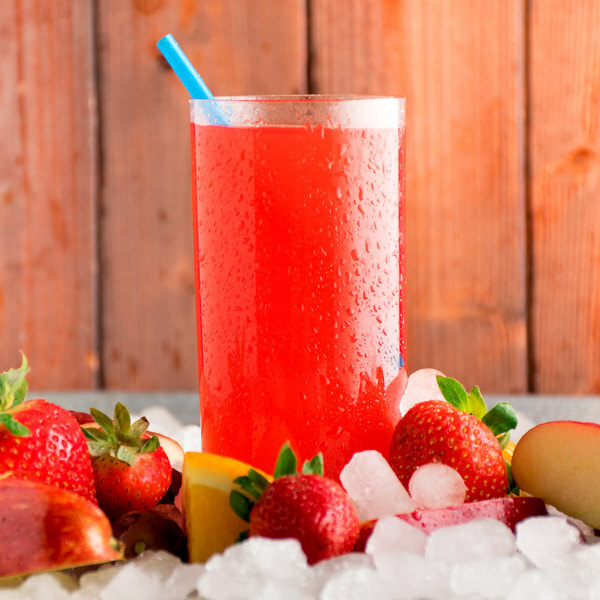 The fruit punch is great combination of flavors that is sweet and delicious. 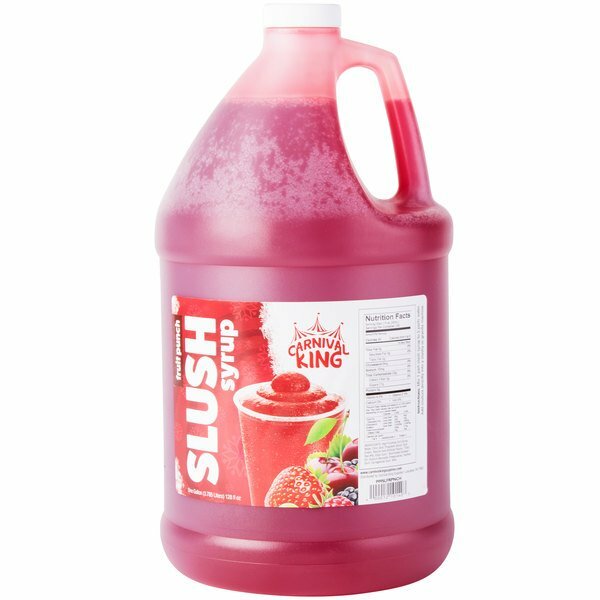 Carnival King's fruit punch slushy syrup is an amazing price and super easy to mix up. The flavor is great and a great flavor for the summer. tastes like actual fruit punch, very nice flavor, kids loved the taste, especially when blended properly, measure it out for best taste, although, add a bit less syrup than. 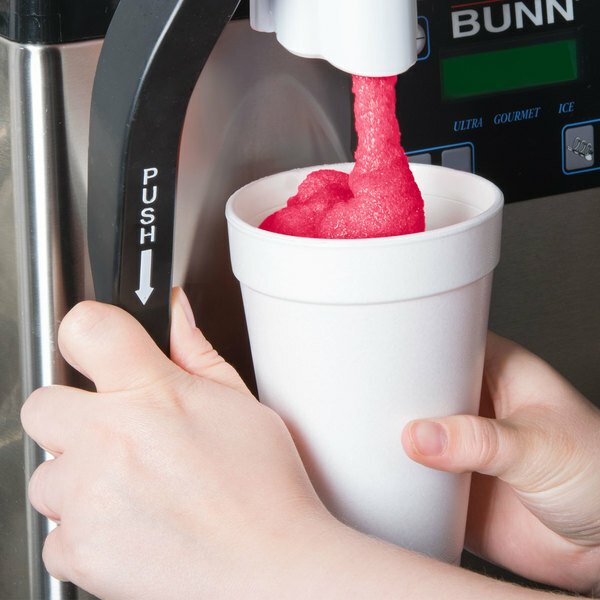 The customers can't get enough of the strawberry flavor slush. I have to constantly purchase this item. Thanks to the affordable prices I am able to keep it on hand. Fruit punch is a common flavor but good one. This is a good version of it. It is good as is and when mixed with some of the other flavors. 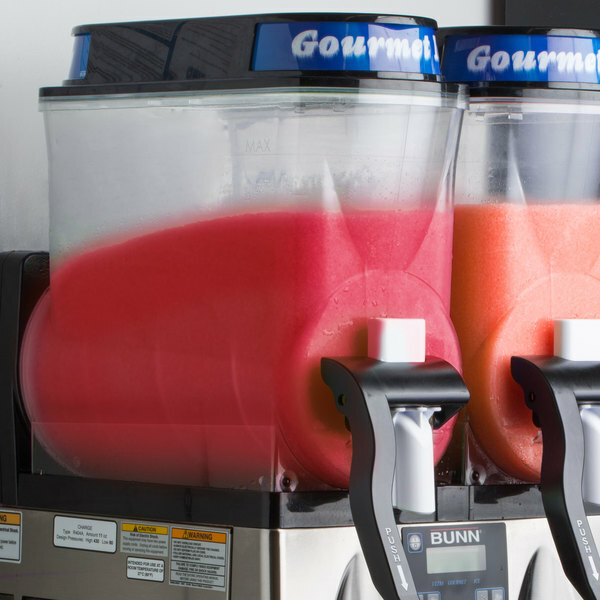 I'm own a catering business and I purchased a frozen drink machine to aid with my services. My first party was a GREAT SUCESS! I was able to accommodate kids with slushies and for the adults (a bonus), a New Orleans Style Daiquiri! Will be ordering again! (Just wish for a returning customer, you would offer free shipping!??) Not only is there a wait for local ground shipping, but the extra cost can get rather expensive!) Other than that, great product with easy to use instructions! Not too sweet, not too watered down! Perfect Combo!